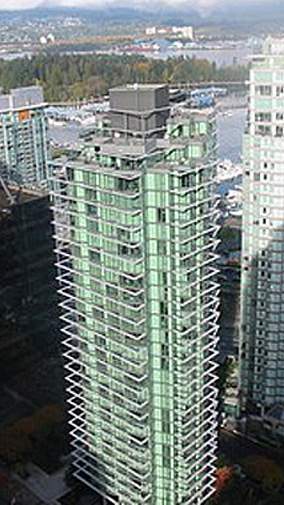 Westcoast Pointe at 1331 West Georgia Street, Vancouver, BC, V6E 4P1, Coal Harbour Neighbourhood, 208 suites, 33 levels, built 1997. The Pointe introduces architectureof the future to Vancouver. The distinctively modern glass facade with aluminium brise soleil rises 29 stories above Georgia Street in downtown Vancouver. Suites offer stunning views of Vancouver's most notable landmarks - Stanley Park, English Bay And The North Shore mountains.